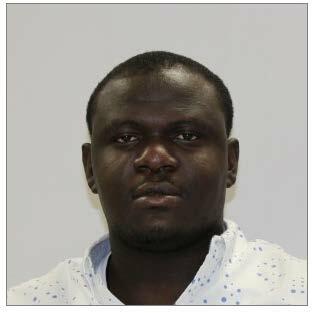 In February of 2018, the El Paso County Sheriff's Office Financial Crimes Unit began an investigation regarding a Nigerian Romance Scam. The investigation revealed the suspect came to the United States in early 2017, on a student visa and immediately started his scam. The suspect met his victims through social media, posing as a middle aged white male with an engineering background. He convinced two women in El Paso County to send him money in excess of $78,000 between April 2017, and February 2018, and he used fake bank websites to convince them he had the means to pay them back. The El Paso County Sheriff's Office has coordinated with the Cobb County Georgia Police Department to arrest the suspect this scam. He was taken into custody in Georgia on the morning of January 18, 2019, and he will be scheduled for extradition back to Colorado to face charges of Theft and Criminal Impersonation. The suspect has been identified as Kelly Itive, DOB: 6/22/92. The Sheriff's Office would like to caution the public to never send money to anyone they don't know, have not met in person, or otherwise have not been able to verify their identity. We would also like to express our appreciation for the efforts of the Cobb County Georgia Police Department for their assistance in this case. A mug shot of Itive is attached to this media release.